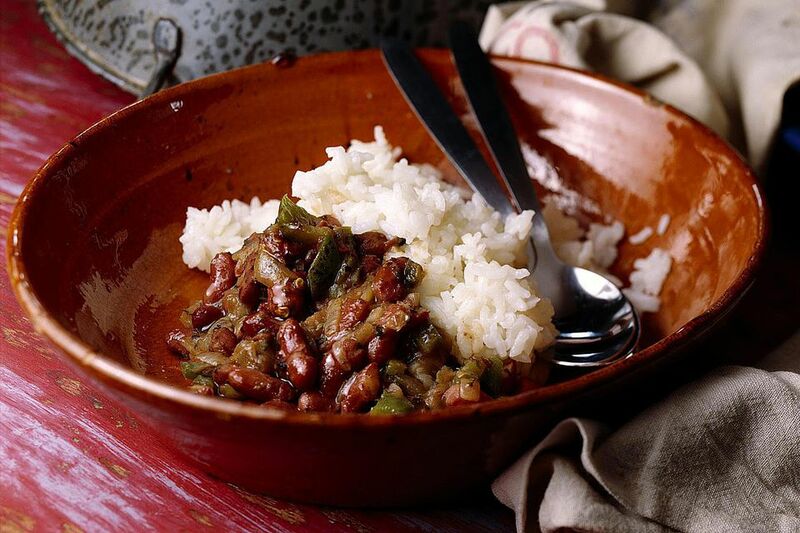 This recipe for red beans and rice is so deliriously easy, there’s no excuse not to put it on your recipe to-do list. The red beans cook in the crock pot all day so when you come home, the red beans and rice are practically done. It's almost as easy as opening a can of beans. A ham bone or ham hocks cooking with the beans all night would add a smoky, porky goodness to the beans. 1. Place soaked beans in crock pot. Cover with enough water to cover an inch over the beans. Add crushed garlic, bay leaves, Cajun seasoning, salt and pepper. Cook on high for the day, at least 8 hours. 2. After 8 hours, taste the beans and adjust seasonings. Using a potato masher, mash about 1/3 of the beans. Add smoked sausage, and cook for 30 minutes. Remove bay leaves, and serve beans with hot rice.